I’m often confronted with injuries that I know are debilitating and simultaneously keep us from performing at Peak Performance day in and day out. Musculoskeletal injury along with associated soreness is the greatest detractor from continued participation. The NAGGING INJURY Series will focus on one particular injury and provide prevention and treatment tips for each. DEFINITION: Acute pain in the shin and lower leg caused by prolonged running and jumping, typically on hard or uneven surfaces. 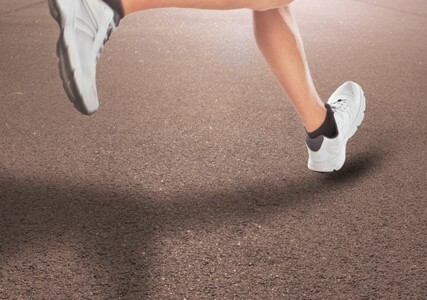 Running and jumping, especially when carrying excess weight, can cause a great deal of pain about the knees and in so doing the referred inflammatory stress comes about at the anterior Tibia, hence the term shin splints. One can experience pain along the inner part of the lower leg, tenderness, swelling, or numbness form swelling and the inability of associated nerves to “fire” freely. Simple long distance walking, as exhibited and studied in the Army (BOOTS) and its contingent, can lead to this debilitating syndrome. Fractures associated with the Military were termed “Marcher’s Fractures”. WHAT TO DO: Acute anterior shin pain is a message that your activity level has been too great, the inflammatory response has also been great, and the result must be a change in workout protocols to allow for the inflammation to subside. If persistent and no change of course is taken, the resulting diagnosis will more than likely be a pre stress fracture or Stress fracture. Change in activity is first and foremost. All pounding activity must be removed from your training, necessitating you to train in alternative modes and removing your body weight from the equation. Box Jumps and aggressive body weight lunges need to be avoided as well. This may mean exclusively swimming for cardio or simply walking & exercising in shallow knee high water. The water itself will take all stresses off the anterior leg(s). Creativity in water exercise can give you just as great a caloric burn as running on a treadmill. Think Treading in the deep end for 30-second intervals. 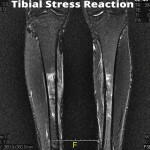 Obviously, it will take a little longer to reach the intensity level, but the leg is healing while not being stressed. Hard intense kicking is not indicated while treading. Rather, slow quiet leg movement is best. Use of a night splint is also indicated. Your physician can make this recommendation. In severe cases, your physician may elect to protect you by placing your lower leg in a walking boot, in essence locking down and avoiding any impact or loading to the lower extremity. Ice is indicated and will greatly help reduce the inflammatory response. I’ve found the use of Ice Massage via ICE cups to work the best, directly attacking the area! Simply fill several Styrofoam cups with water, place in the freezer until frozen, remove from the freezer and peel back the top of the cup. This allows you to have a better grip for your 10 minute ice massage. 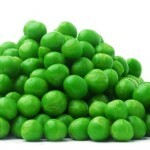 If this method doesn’t work for you, use a bag of frozen peas or corn. They will work just as well. Just be certain to place a wet towel between the bag and the area to be treated. Treatment time here increases to fifteen minutes. Consult with your personal physician on his or her recommended treatment times. Simply adjusting the surface you train on can make a huge difference! If you are a street runner or walker, the pavement is almost certainly going to catch up with you. A better solution would be to find a local high school or public park with a TARTAN, spongy surface. This will make a big difference. Checking the bottoms of your shoes for wear patterns is another tip. If you see worn surfaces about the heel regions of your shoes, it’s time to replace them. Similarly, your training shoes should have a stiff rigid sole. Being able to bend your shoe in half usually is indicative of a shoe not driven towards providing maximal support. Once again, a proactive approach to prevention through the use of Ice (Regardless of Activity) is greatly indicated. HOW WILL I KNOW I AM HEALED? Physician protocols vary. For me, repeat radiological studies are not always indicated. I often defer to the patients pain level (Use a scale from 0-10, with ten being excruciating pain and 0 being free of symptoms). This reporting method works well here. For discussion, if your pain and soreness are above a level two, you’re not ready to reinvest in that activity. Grade your pain twice daily and mark those findings down somewhere. Re access, along with your physician and Athletic Trainer to come up with the best course of action.